A recent report makes clear just how much the situation surrounding Kazakhstan has changed. A few days ago, Catherine Putz ably summed up a recent International Crisis Group report on the current state of political affairs in Kazakhstan. 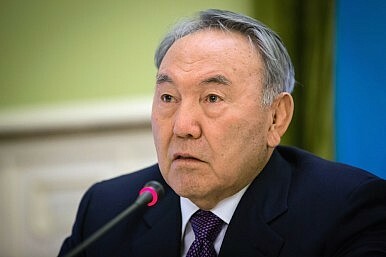 While she examined the role Kazakhstani President Nursultan Nazarbayev played in centering the nation’s body politic, the report also offered a nice look at some tangential realities with which Kazakhstan is currently dealing. Whether Kazakhstan takes these recommendations at their face, or if the government continues forward without any changes, remains to be seen. Regardless, if the government opts for the latter course – and if the next two years are anything like the previous two – there’s far less likelihood the stability so craved by Astana can survive as it has. The Kremlin has made its revanchist desires clear. Whether or not Kazakhstan can continue to maintain its detachment, and its stability, remains to be seen.